Summary (from Goodreads! ): In Beatrice Prior’s dystopian Chicago world, society is divided into five factions, each dedicated to the cultivation of a particular virtue–Candor (the honest), Abnegation (the selfless), Dauntless (the brave), Amity (the peaceful), and Erudite (the intelligent). On an appointed day of every year, all sixteen-year-olds must select the faction to which they will devote the rest of their lives. For Beatrice, the decision is between staying with her family and being who she really is–she can’t have both. So she makes a choice that surprises everyone, including herself. 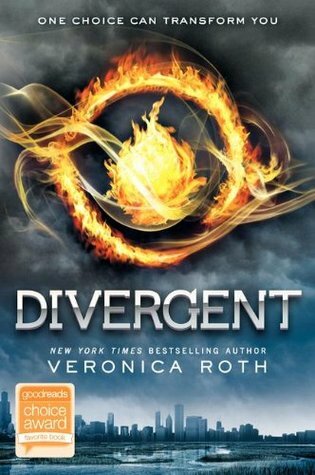 Review: I have had Divergent on my TBR list since last year. I really don’t have a reason for not reading it until now. I had only heard great things. Anyway, I’m glad I finally read it! It is amazing! Veronica Roth did a superb job with the world building. I was completely into it from the first few pages. I also loved loved loved the character development. This is the type of development that I always go for. It may be long, but it is not boring or slow. It is a process. And because she took her time for the reader (me) to get to know the MC and come to understand the decision and thought process, I was able to connect with her and to care about her. (This is what I was talking about when I explained why I didn’t enjoy The Hobbit). Fast paced, great writing, amazing world building. I can’t wait to read the other books! Recommendation: If you’ve been on the fence about reading this book, jump off and go read! Now!